visits a parishioner at a shelter. 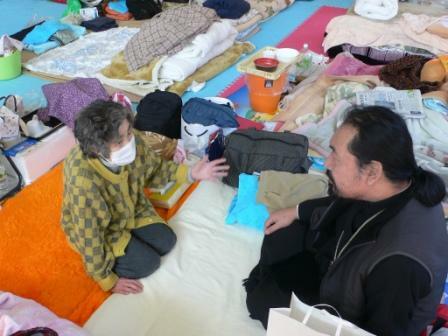 Since the disaster happened, Bishop Seraphim of Sendai and clergy of the Eastern Japanese Diocese have been making great efforts to contact parishioners and to get information on their situation. For the first two weeks, a shortage of gas and damaged roads prevented visiting the flock. 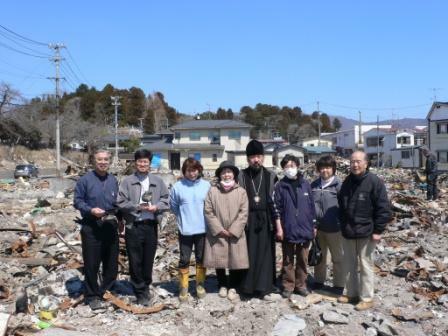 Recently rubble was cleared from the main roads and Bishop Seraphim visited was able to visit the church and parishioners. In general, the damage to Orthodox communities could have been worse. Other than the Holy Annunciation Chapel in Yamada, all the churches and chapels survived and seem to stand fairly well. However, there are many cracks in the walls; both the interior and the exterior of the buildings have sustained damage, especially in the foundation. Frequent aftershocks increase the damage. A large amount of money will be needed to restore and rebuild churches. 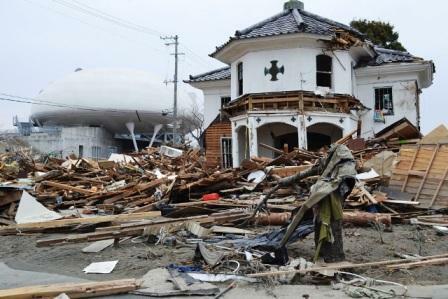 Among 1500parishioners in the Tohoku area, 7 died in the tsunami, one died of shock during the earthquake. In coastal areas, many lost their houses and jobs. Many people’s houses, shops and offices were severely damaged. 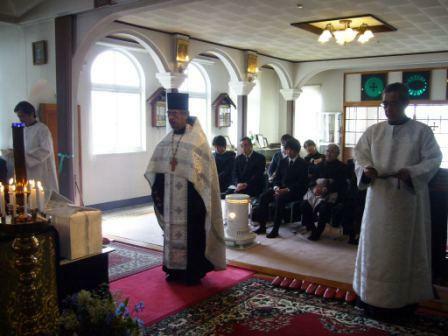 Bishop Seraphim visits parishioners in Yamada. 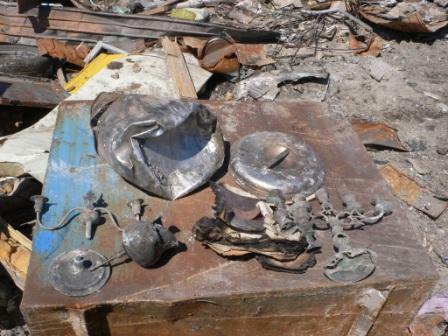 Holy vessels found in the rubble of the destroyed parish in Yamada. Pannikhida for the reposed victims in the Ascension Church in Sakari.